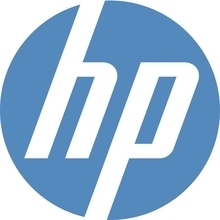 PALO ALTO, Calif., May 10, 2018 /3BL Media/ – In a new survey from HP Inc. focusing on more than 3,000 office employees in Mexico, U.S. and Brazil, sustainability rises to the top as the most important employer offering. HP revealed the results as part of the company’s 2018 Americas Innovation Summit. Sustainability isn’t just the right thing to do, it’s also a critical part of talent acquisition. From the survey, sustainability is tied with new technology as the #1 most important employer offering across all surveyed countries. It’s time for employers to step up. Employees are committed, but they want to do more. To help them practice more sustainability/“green” initiatives at work, employees need their employers to provide the necessary equipment – both separate receptacles for recycling/composting and sustainable materials – and more training. As important as sustainability is to office workers, they don’t demonstrate much knowledge about it; more education is needed around the environmental impact of printing to combat common misconceptions, and most underestimate how well their country is doing at meeting its Sustainable Development Goals. Few see printing as an environmentally-friendly technology. More on Sustainability at HP can be found here.